We offer the philosophy of personal, professional quality dental care above all else. Our goal is to improve the quality of life for all of our patients while empowering them to have a healthy mouth for life through preventative and maintenance care. 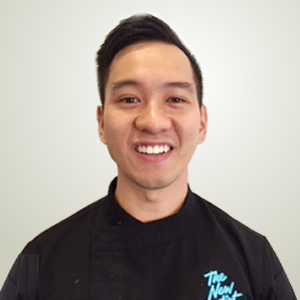 A graduate of the University of Western Australia (UWA), Christopher established Absolute Dental in West Perth in 1988. Introduced to Dental Sleep Medicine and its research the following year, he began successfully to treat patients with Sleep Disordered Breathing. 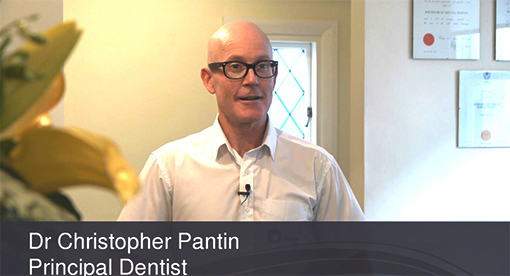 Christopher is an Associate Professor at UWA and coordinates the Graduate Diploma in Dental Sleep Medicine. Val graduated with honours from the University of Western Australia (UWA) in 1985. She then worked at the Perth Dental Hospital for five years while being a tutor for the undergraduate programme at UWA. Val joined Christopher in private practice in 1991. She obtained a Graduate Diploma in Dental Sleep Medicine from the University of Adelaide and UWA in 2014. At a young age, Rachael was introduced to dentistry. She worked in all areas of a dental practice. After finishing her primary and secondary education at Penrhos College in Como, Rachael moved to NSW. In 2014, she graduated from Charles Sturt University in Orange NSW with a Bachelor of Dental Science. After graduation, Rachael returned to WA and worked as a dentist in Bunbury for three years. She’s delighted to be back in the area where her exposure to the field of dentistry began. To further her education, Rachael has taken post-graduate training including orthodontics using the Invisalign® system and CEREC restorations. Currently, she is working towards getting a Graduate Diploma in Dental Sleep Medicine at UWA. Rachael chose to become a dentist as she enjoys combining patient-centred care with practical clinical skills. She believes that preventative dental visits are part of a holistic approach to general wellbeing. When she’s not working, Rachael trains for open water swimming competitions such as the Rottnest Channel Swim and IRONMAN® events. She also likes to travel and is a competent violinist. Gary always had a desire to work in a health-related field. When his mum received a set of partial dentures, he became fascinated with the knowledge necessary to maintain her dentures for the long term. He is passionate about educating others regarding their oral health. To prepare for his career, Gary earned a Bachelor of Oral Health from the University of Sydney in 2012. He regularly takes professional development courses relating to oral health. At our dental practice, Gary loves helping patients smile confidently. Outside of the practice, Gary enjoys staying active and riding his motorbike.